If you prefer to learn on a one to one basis, Private lessons are the perfect solution. Personal tuition offers a tailor made way of improving your dance routines and techniques, or if you are just a little nervous at the beginning. Also great if you are going to a Wedding, Corporate event or cruise holiday, you may want a refresher before you go. Whether you are an Absolute Beginner with two left feet (everybody says that! ), or an experienced dancer, Dance Moves Private lessons are just what you are looking for. Please note we have had to introduce a cancellation fee for any Private lessons cancelled within 24 hours. This will be the full cost of the lesson. Emergency situations will be taken into consideration. or course of lessons, to any value you like? book your lesson/classes at a mutually convenient time. Private lessons are based in Preston. 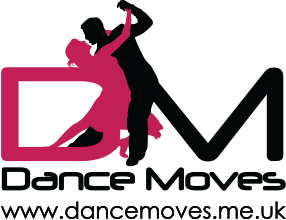 Dance Moves offers experienced, professional tuition in a friendly atmosphere in various forms of dancing including Ballroom, Latin American, and Modern Sequence. Want an interesting present idea? Why not get him/her a Dance Moves Gift Voucher for a dance lesson, or course of lessons/ classes, to any value you like?